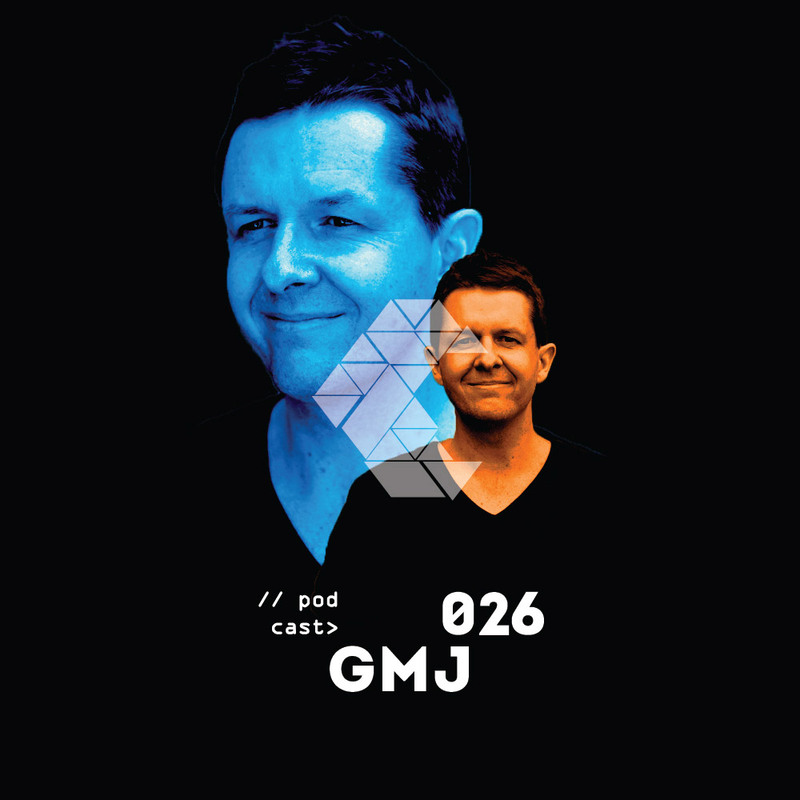 GMJ aka Dj Gavin Martin from Melbourne Australia has been a prominent figure in the underground electronic dance music scene for near on two decades. In 2007 the GMJ project was born, since releasing on iconic imprints including Anjunadeep, Proton Music, Sudbeat Music and Replug, just to name a few. With an innate passion for spatial atmospherics & deep rhythms, the GMJ sound has been received & supported by luminary artists such as Hernan Cattaneo, Dave Seaman, John Digweed, Dousk, Eelke Klein & Kasey Taylor amongst others. Hi Gavin, it’s a pleasure to have you for an interview. Could you tell us more about your recent experience in London for Progressive Astronaut’s party at Bow Bridge? Hi, thanks for having me! Yes, this was my first gig in the UK, so it was a real thrill! Jessica & I had been trying to make something work for a while & i am really glad it did. The night was fantastic; a really tight room with great sound & a quality music crowd. I loved playing, the set really flowed & was well received on the dancefloor! lt is always a joy to play music on the other side of the world & meet like minded people. All the other artists did a fantastic job, i was there pretty much start until finish! How did you start working together with Matter? What is the collaboration process like when you work on a project together? Matty & I had been following each other on soundcloud for ages, commenting here & there, and then i saw an interview he wrote for PHW website. That really struck a chord with me & made me reach out to him in late 2015 as i felt we were on a similar path. From there we wrote a track before the 2016 Rainbow Serpent Festival together & the rest is history! Usually with our collabs we start with a framework of a track (grooves & maybe a few atmospheric elements) & pass it to each other online, then the other will work on it & layer it to a point of being close to finished unless more inspiration is needed, then pass it back over.. From here we usually catch up & put on some finishing touches & do the final mix together before sending for mastering. It really works seamlessly between us which is amazing. Meeting Matty has been huge for my growth as a musician as well as having an amazing friend. We really like your tracks ‘Osmosis’ and ‘Earthless’. Could you share with us what hardware gear and software plugins did you use for the creation of these two gems? Thanks! Osmosis was the earlier creation & is almost all software plugs though i think Matty may have used a Moog bass in it. We used synths like Native instruments FM8, Omnisphere, Trillian & a lot of manipulated samples. Earthless is a story in itself; the beginnings of this tune came to Matty after a meditation, after which he went straight into the studio & started the track. He sent it too me & i was blown away by it & honoured to work on it with him! This tune is purely software based! Again it features our go to synths FM8 & Omnisphere, and i also used Camel Audio Alchemy & Reveal Sounds Spire in this track & again a lot of samples. For both of us Earthless is a really special tune. Tell us a bit more about your sets at Rainbow Serpent and Dragon Dreaming festivals? When we listened to the sets on your SoundCloud page, we were blown away by the high quality music included. What was it like to play at those locations? Thanks again! I am glad you felt those sets Rainbow Serpent Festival has a very special place in my heart & life. I have been a part of it as a musician for over 15 years. I used to dj there only, but over the last 2 years it has been playing all my own music, so the recent sets online are this. Simply, it is the best festival in the world i have been to; the crowd is amazing & there is a deep spiritual energy at this festival that i haven’t felt in the same way at other festivals. This year was my second year playing at Dragon Dreaming & it was so great! It is a smaller festival than Rainbow, but again, it has really amazing energy, is at a truly amazing site & the vibes are so relaxed! I was privileged to play a 3 hour closing set & it was awesome; big crowd that was right up for it, definitely one of my highlights for a long time. Which are your favourite five tracks at the moment? If you can collaborate on a project with anyone from the dance music industry, who would it be and why? It would have to be Guy J. Really at the moment no one comes close to him for me with forward thinking sounds, and he is such a nice guy. It would be so amazing to learn from doing a collab with him, especially in person. Every track he does seems to raise the bar & they always inspire me. What can we expect from GMJ in 2018? The year starts with gigs in Sri Lanka & then Rainbow Serpent Festival. I am hoping to get back to Europe again for some more gigs & also there is talk of some things happening in Japan & South America. I have more collabs coming with Matter, as well as Tripswitch, East Cafe & Luka Sambe. Matter & I will also be working more on refining our live set as the year unfolds. Of course more GMJ originals & remixes are going to be coming, stay tuned! Connect with GMJ on Facebook and SoundCloud.